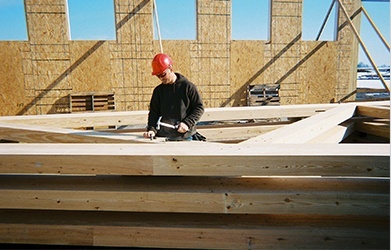 Enercept has been manufacturing quality Structural Insulated Panels (SIPs) for over 30 years. Enercept started as a subsidiary of Energy Concept in 1981. With the vision of crafting a future in manufacturing structural insulated panels, founder Harold Henley dared it all. By 1982, Enercept, Inc. built a 26,000 square-foot facility of their own design and products in Watertown, South Dakota. Enercept installs electrical chases at the factory and has developed an easy to follow electrical guide for your electrician. Enercept factory-installs electrical wiring in our SIP roof panels (when allowed by local code). Enercept’s unique 4-foot line panel press can accommodate panel core thickness from 1″ to 16″. Enercept is known in the SIP industry for our ability to produce panels for even the most difficult designs. We employ an experienced drafting team to assist you with SIP design questions. Enercept can provide an on-site training technician for first-time builders to ensure quality construction and minimize the learning curve. We include a detailed Construction Guide, Electrical Guide, and durable panel layouts with every project. Not only have we been in business for over 35 years, but we were also the original holders of the patents for our insulated connecting posts, which virtually eliminate thermal bridging, Our patented design means faster, easier, stronger construction. Enercept panels have been used internationally with projects in Antarctica, Greenland, Spain, Japan, Switzerland, France, Mexico and Canada. The largest project utilizing Enercept SIPs is the International Science Station located at the South Pole. In 2012, Enercept added an 8’wide (jumbo) panel line. 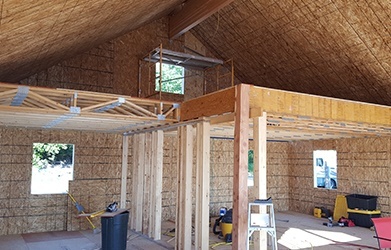 Enercept is a proud member of The Structural Insulated Panel Association (SIPA), the National Association of Home Builders (NAHB) and the Timber Framers Guild. TThe Process of Building the SIP Home of Your Dreams Begins With Planning. As with any journey, you’ll want to do some research before plan your trip. You’ll want to have a good sense of your vision, the end result, and how much it’ll cost. Structural insulated panels or SIPs are gaining the attention of Builders and Customers interested in achieving high-performance building envelopes in commercial, industrial, and institutional projects.